Another piece for the Telegraph after the St Petersburg terrorist attack, though the title is rather deceptive as the piece is mostly about the phenomenon of radicalisation amongst Central Asians, a topic that appears sadly relevant again after the incident Friday in Stockholm. The attack on St Petersburg in some ways resembles a throwback to an earlier time. With the recent spate of low-tech incidents involving knife-wielding and car driving extremists, the perception was that the nature of the terrorist threat had evolved. 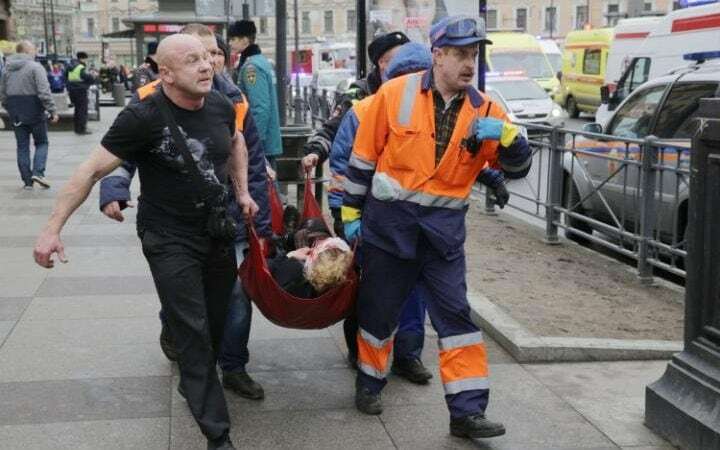 The as of yet unclaimed atrocity in St Petersburg is a reminder of how terrorists continue to deploy explosives to advance their causes, and how Russia remains a priority target for international terrorist networks. It is not yet clear who is responsible for the attack in Russia, though initial indicators suggest that it was by an individual of Central Asian origin who may have previously been radicalised. This comes after an arrest earlier in March at Moscow airport of a Tajik citizen who had reportedly been sent by Isil to launch an attack in Russia. According to reports in the Russian press, the Tajik had been deployed to connect with networks already in the country who were to supply him with equipment to launch a terrorist strike. Central Asians were also implicated in the attacks late last year on the Ataturk Airport and Reina nightclubs in Istanbul, and in an attack on the Chinese Embassy in Bishkek last August. None of this may appear surprising to the lay observer. Central Asia has long been perceived as a hotbed of radicalisation. And yet in reality, it is a threat that has never quite expressed itself. Central Asian warriors have been a feature of the conflict in Afghanistan and more recently Syria and Iraq, but they have not been responsible for many attacks beyond these battlefields. Increasingly this appears to have changed. It is something that is of particular concern to Russia, which has deep human, economic and security links with Central Asia. In part through the large community of labour migrants working in Russia from the region, but also directly with the countries of the region. Reflecting this, the new President of Uzbekistan is paying his first formal visit to Moscow this week, an event that has been eagerly anticipated since his election as leader in December 2017. Undoubtedly security questions will now feature as a larger part of the conversation. From Moscow’s perspective, the menace of international terrorism is something that has been a persistent concern for some time. Of late, it appeared as though Russian security forces had been able to, for the most part, keep a lid on the problem. The attack on the Metrojet plane flying from Sharm el Sheikh was something that was beyond their control in Egypt, and at home the last major attack was in 2013 at Volgograd in the run up to the Winter Olympic games in Sochi. But the attack on St Petersburg shows the threat that Russia faces persists, and it is one that is likely to continue to become more acute as the battlefield in Syria and Iraq shrinks and groups seek to apportion blame and punish the outside powers who are perceived to be fighting against them. There is a further danger within Russia that this growing narrative of Central Asians being seen as responsible for the incidents will strengthen suspicion among the Russian public towards the hundreds of thousands of migrants from the area. This community provides a huge service to Russia in the form of essential labour, while also providing a huge economic boost back home in remittances. The perception of threat from this community may be high, but the reality of it is actually small, a balance that Moscow needs to manage very carefully. Finally, this attack highlights once again how terrorism is a multifaceted and complex threat that will continually find ways to penetrate security and murder civilians in advance of a political message. In the wake of incidents in Europe including the Westminster attack, the sense was we were moving towards a threat which was more focused on low tech attacks involving weapons easily available in our everyday lives. The reality is that terrorist groups retain the intent and capacity to launch more sophisticated assaults. The recent threat against aviation and the ban on large electronic items on certain routes is a reflection of the continuing threat of highly sophisticated plots; the St Petersburg attack shows how bombs in bags are still an equally effective vehicle through which to murder and attract attention to your cause. Security agencies around the world will continue to need to pay attention to a wide range of potential threats, expressed in a variety of forms, in many different locations. The threat may yet become more acute as Isil faces defeat in its homeland. And another piece, this time for my institutional home RUSI after the Westminster atrocity. Also to catch up on a few conversations with the media, spoke to Financial Times, New York Times, The Times, Wall Street Journal, La Repubblica, Politico, Daily Record, NBC, Irish Times, L’Espresso, and Daily Mail amongst others about the incident. Separately, spoke to Voice of America, Wall Street Journal and Washington Post about ISIS released a video featuring Uighurs. Finally, to the Mail on Sunday about a British jihadi who was able to get in and out of the country, and to the Guardian about the laptop ban on planes and Brexit and the security negotiations. The security services face an enormous challenge in preventing these types of terrorist attacks. The wave of terrorism that has been striking Europe has reached Britain’s shores as a single attacker tried on Wednesday to storm the British Parliament in the centre of London. Dartford-born Khalid Masood, né Adrian Russell Ajao – killed four people when he rammed his car into pedestrians on Westminster Bridge and fatally stabbed police officer PC Keith Palmer. At least 50 other people were injured, some critically. The choice of target and the method used to conduct the attack suggest, at the very least, political intent. Daesh (also known as the Islamic State of Iraq and Syria, or ISIS) has claimed responsibility for the attack, saying that Masood was ‘a soldier of the Islamic state’. The incident might also be linked to the wave of Daesh and Daesh-inspired plots seen in mainland Europe. However, the degree to which this reveals a substantial connection or not has yet to be uncovered. Security forces have been preparing for such an attack for some time. Some of the 13 plots authorities stated having disrupted in the past three years showed evidence of plotting in the same direction. It is also one that is increasingly hard to eradicate even with well-developed national surveillance and intelligence capabilities. The decision to strike at the heart of British democracy is a seemingly obvious choice: groups have long sought to strike public institutions and the Houses of Parliament are an international symbol. The ease of striking at parliamentarians was illustrated last year with the murder of Labour MP Jo Cox at her Batley and Spen, Yorkshire, constituency surgery by right wing extremist Thomas Mair. It was not the first time a parliamentarian had been attacked in this way – in May 2010 there was the stabbing of Labour’s East Ham MP Stephen Timms by Roshonara Choudhry in an Islamist-inspired attack. Timms was severely wounded, and Choudhry was sentenced to life imprisonment. Democracy, by its nature, is open and its representatives accessible to the public. Yet, such openness can complicate protecting those representatives or institutions. Nevertheless, there are some security measures that may be tightened as a result of the current events in London. 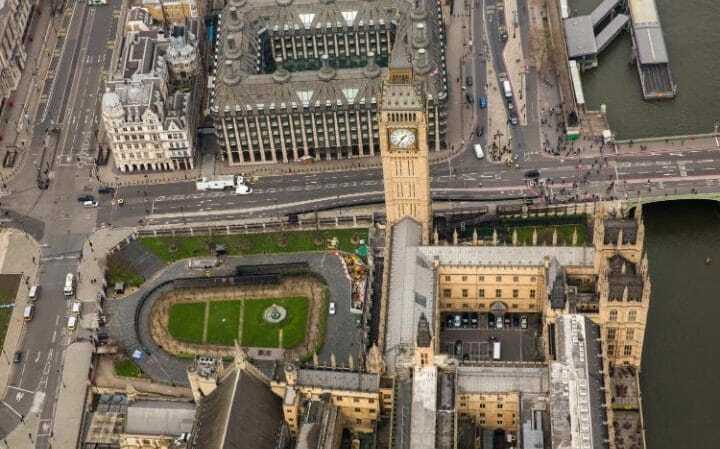 The fact that the vehicle was able to mount the pavement in the areas around Parliament will raise questions about whether the protective bollards and barriers that surround the area should be further extended. Indeed, the fact that the individual was able to get inside the parliamentary estate will undoubtedly raise questions about whether the sanitised zone needs to be extended further and more barriers erected in the vicinity. It is also clear that authorities have discovered that Masood had featured historically in investigations. This will raise questions about why he was not prioritised for investigation and what decisions were made in other directions. This is an equally difficult task. For the security services, the problem is in identifying the individual as a priority at this specific moment. It is possible that he should have been due to indicators that were missed. However, security forces are facing a complicated situation involving thousands of persons of interest while lacking the staff numbers to deal with them all. Choices will have to made about who needs to be prioritised for deeper investigation. This necessitates more attention to some and less to others involving a process of carefully calibrated choice. The nature of the attack also makes it hard to prevent. Attacks involving cars and knives make use of everyday tools, a tactic which in itself limits the opportunities for the security services to detect plots in advance. This is not only a reflection of the relative difficulty of launching more sophisticated attacks, but also the fact that terrorist groups have lowered the methodology of a successful attack to this level. Not only are the tools hard to identify prior to attack (unlike guns or explosives), but preparation time is very limited and can be hard to discern from someone’s ordinary pattern of behaviour. Ultimately, it is the reaction to the carnage which ‘makes’ the attack. An exaggerated response will increase the impact of the incident and give it undue importance. On the other hand, suppressing discussion may feed a frenzy of speculation which is also harmful. More on the attack will be heard in the days to come, shedding light on the lessons that need to be learned. The answer – as is often the case – is to step back and review processes, ensure societal resilience and brace for the potential for further incidents. Banner image: Armed police on Victoria Embankment in London after Wednesday’s terror attack on Westminister Bridge and Parliament. Courtesy of Jonathan Brady/PA Wire/PA Images.